I'm back today with swatches of the newest Harlow ONE series release. After a small hiatus, duo to Canada Post mishaps, a brand new duo will soon hit the shelves : the Powder Perfect Promise Duo. I reached into my backpack, handed him my pencil, and watched as a wave of possibility washed over him. A smile erupted and his eyes brightened. I then saw the profound power and promise brought through something as small as giving a pencil to just one child. Over the next five years, I backpacked through more than 50 countries, handing out thousands of pens and pencils across six continents. These pencils, these small pieces of potential, led to powerful conversations with local parents and children across countless cultures and languages. From years of listening to their words, it became clear that there was a need for an international nonprofit that was led on-the-ground by a staff of locals from within each country, required village participation in each school, and deeply supported, trained and tracked each student to ensure their success. These are the guidelines on which PoP was founded in October 2008. 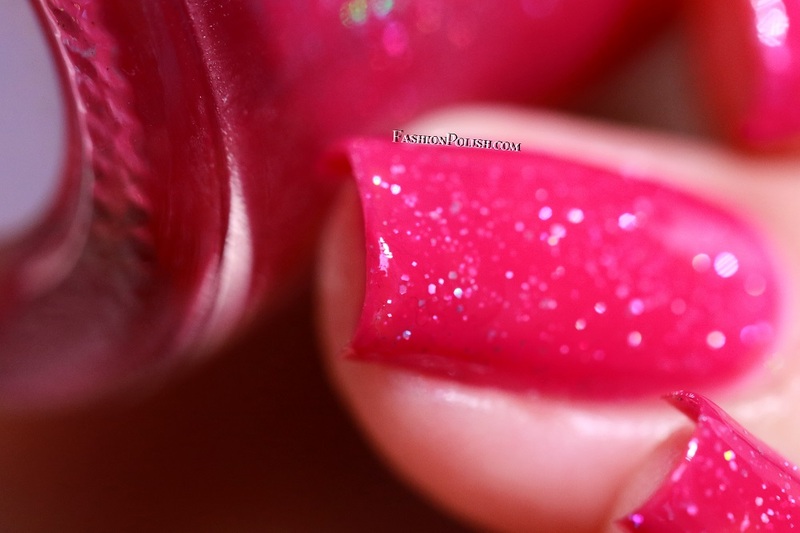 Profound Promise is a juicy watermelon pink crelly scattered with silver holographic microglitters. A beautiful pink that screams Summer. Great application and formula. I used 2 coats for complete coverage and no visible nail line. "Inspired by the founding story of Pencils for Promise, “Magic of Imagination” refers to the moment a child’s eyes light up when given a pencil to allow them to express their imagination." 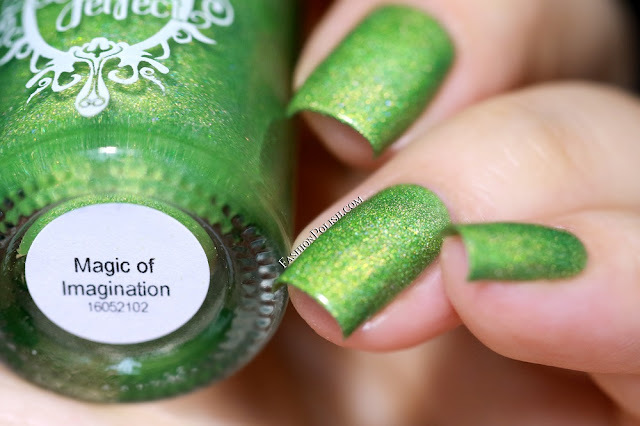 Magic of Imagination is a vivid apple green linear holo. A lot of depth for this unique shade of green! Again, perfect formula, a streak-free application and an easy 2 coats coverage. "Inspired by Pencils of Promise's commitment to educate children & provide them with educational supplies." The August 2016 Harlow ONE Powder Perfect Promise Duo will be available and ready to ship on Monday, August 1st on Harlow&Co. $2 CAD from each set sold will be donated to the Pencils of Promise organization.